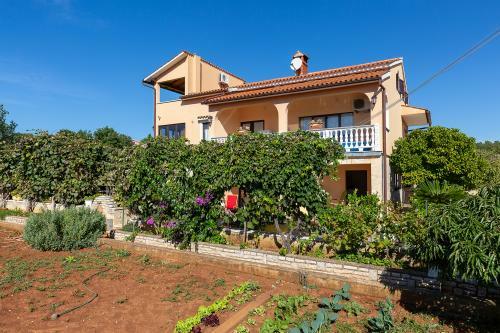 In Varvari, a small village at only 5 minutes drive from the center of Porec is located Apartments Villa Alice. 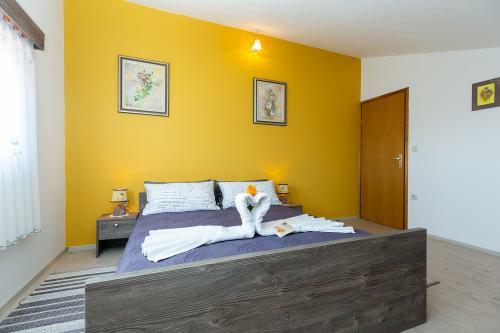 Aparments Villa Alice offers accommodation in 3 fully equipped apartments with all needed for a comfortable stay. Each apartment has a separate entrance, air conditioning and parking. Apartment for 7 people is on the top floor of the house, has 3 bedrooms (2 x 2/1, 1 x 3/1), 2 bathrooms (shower toilet, towels), kitchen, living room , terrace with sea view.